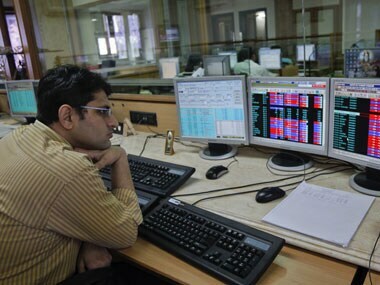 The BSE Sensex edged higher in choppy trade on Thursday, tracking most Asian stocks that rebounded after US stock futures rose 2 percent, even as renewed concerns over the euro zone's debt crisis weighed. At 12:36 am (0546 GMT), the 30-share BSE index was up 0.32 percent at 17,186.67 points, with 18 components declining, and recouped its earlier losses in the day. 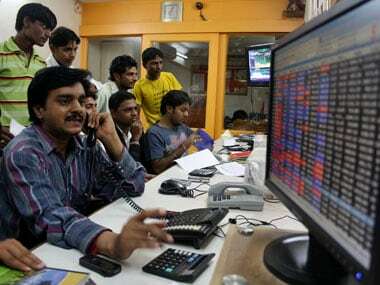 The index had gained 1.6 percent on Wednesday after falling for the previous six sessions. "The markets will continue to be rangebound...unless the global situation is cooled down, fresh investment will not come, in turn affecting the sentiments," said RK Gupta, managing director, Taurus Mutual Fund. Major Asian indexes that were down between 1 and 2 percent earlier, recouped their losses as US stock futures rose 2 percent. However, the focus is expected to shift to how Europe reacts to a sovereign debt crisis threatening its banking system. "Market should improve further in the day but the real situation can be assessed only after the Europe (markets) opens post 1 p.m." said independent analyst SP Tulsian. The MSCI's measure of Asian markets other than Japan was up 0.07 percent, while Japan's Nikkei fell 0.63 percent. 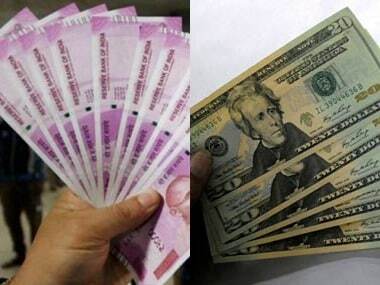 Cautious foreign institutional investors have sold Indian equities worth about $1.24 billion so far this month, after investing a net $2.3 billion until July end. Citi cut its year-end target for India's benchmark index by nearly 10 percent to 19,700 from 21,500, citing weak market environment, heightened uncertainty and lower earnings. Shares in Tata Communications jumped as much as 9.1 percent, after India's telecom commission recommended spinning off surplus land held by the firm into a special purpose vehicle, paving way for the sale of the land. Shares in auto maker Tata Motors, which is expected to report an 9 percent rise in quarterly profit later in the day, were down 0.94 percent. The company, like other auto makers, has raised prices on its vehicles this year due to rising input costs. Shares in India's largest mortgage lender HDFC continued to rise for the second day after RBS on Wednesday upgraded it to "buy" from "hold," citing consistent profitability and growth across economic cycles. The stock was up 2.94 percent on Thursday. 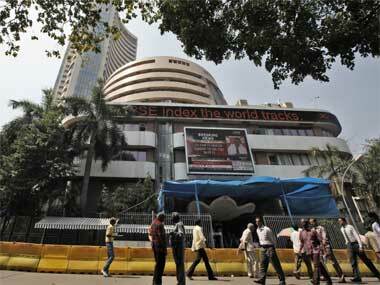 Reliance Industries, India's top company by market capitalisation, gained 1.43 percent on bargain hunting. The stock has lost about a quarter of its value so far in 2011, mainly dragged by worries of slowing production from its showcase gas fields, off India's east coast. The 50-share NSE index was 0.43 percent higher at 5,183.4 points. In the broader market, 710 advances outnumbered declines on volume of 276.5 million shares. * Hotel Leelaventure fell as much as 6.5 percent after it swung to losses in April-June quarter. * Chemicals maker Monsanto India rose as much as 3.5 percent in early trade as it said its board would consider a bonus issue of equity shares. * Realty firm Unity Infraprojects gained 3.5 percent after the company said it won projects worth 2.53 billion rupees.